Not all hamburgers are created equal, and given the changes in the U.S. dietary landscape in the past 10 years, hamburgers are only getting more unique. All across the country ”better burger” choices can now be found alongside Burger King and McDonald’s. Better burger chains aim to stand apart from typical fast food by providing focused menus, novel items, and customizable options. 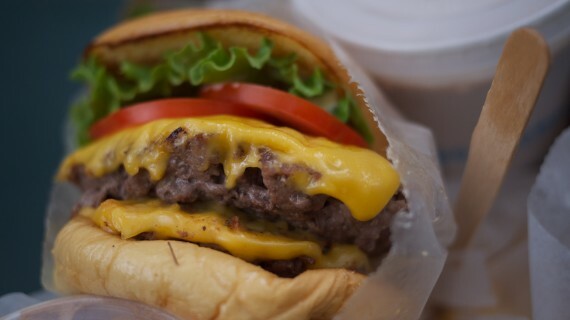 Chains such as In-N-Out Burger, Smashburger and Umami Burger aim to attract a growing number of consumers who want a gourmet burger experience. And the choices are considerable. How about a hamburger with seared strip steak, oyster mushrooms, dried seaweed and fermented fish? What about the “Roo Burger,” a hamburger that combines cow and kangaroo meat into one patty? Or for a real heart-clogger, TGI Friday just rolled out its line of “Stacked Burgers” with a whopping 1,400 calories per sandwich. With a resurgence of vegetarian/vegan cuisine combined with heightened public concerns about food safety issues, it would seem that offerings such as these would be waning rather than on the rise. But the trends in meat consumption, and a new segment of gourmet meat consumer, indicate that something different and sociological is underway. For instance, what cows eat, how they are raised, and where they come from are important concerns for consumers today. These desires have come about through changes in consumer behaviors as a direct result of food-based social movements. In their 2008 Adminstrative Science Quarterly article entitled “Forage for Thought: Mobilizing Codes in the Movement for Grass-fed Meat and Dairy Products,” authors Klaus Weber, Kathyrn Heinze and Michaela DeSoucey show that social movements create cultural codes around the beef industry that require producers to adjust their production standards, as well as provide consumers with ways to make ethical decisions in the marketplace. 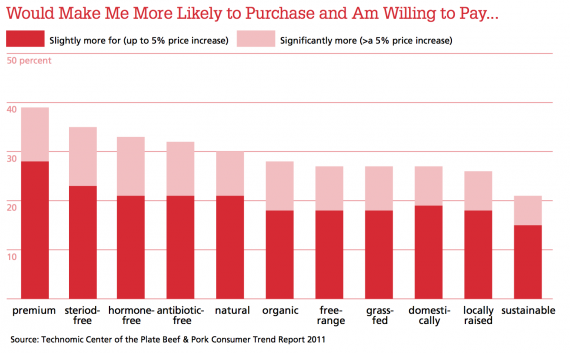 Through these demands, grass-fed beef, hormone-free beef, and steroid-free beef have become staples in the world of hamburgers. report from Technomic, the other chart on this page shows the top 10 fastest growing better burger chains. The rise of these better burger chains is a direct response to consumer demand for more ethical and environmentally friendly hamburgers. The gourmet hamburger, on the other hand, exemplifies an important concept in the sociology of culture, and more specifically food: the notion of omnivorousness. Sociologists have described omnivorousness as a type of cultural consumption that allows high-status groups to show off their distinction from other groups through their knowledge of a range of cultural forms, from low culture to high culture. 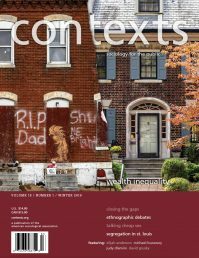 These insights into the sociology of culture have been developed in part from Pierre Bourdieu’s seminal work Distinction, which showed how aesthetic preferences and cultural tastes were directly related to social class. Bourdieu also found that certain cultural preferences were equated with “good taste” and those in privileged class postions often had access to these preferences, while those with less status and wealth did not. As food is a major element of culture in society, the hamburger has become an important container for expressing these preferences in contemporary American cuisine. Fast food is defined as both inauthentic and non-exotic based on these criteria. This is what makes the a gourmet hamburger such an attractive oxymoron of consumable culture. In one digestable package you have the low culture that comes from a fast-food burger combined with the exotic and authentic elements of high-culture foodstuffs. A hamburger might be more authentic if it has beef that comes from a certain region of the country, has been fed a diet of seasonal grasses, or reared on a family farm, while exoticism might mean adding strange ingredients otherwise not found on a traditional hamburger. For example at Hubert Keller’s Burger Bar in Las Vegas, the “Rossini Burger” is Kobe Style Wagyu Beef from Australia, sauteed foie gras and shaved truffles on an onion bun. At $60, it provides a mouthful of exotic and authentic flavors through which the consumer can express high status, while still maintaining the low-culture connection so critical to the omnivore. Omnivorousness also includes the place where that $60 gourmet hamburger was eaten. While the rise of the gourmet hamburger has become ubiquitous throughout the consumptive landscape, where you eat matters more than ever. Fast food chains like Red Robin and magazines such as Martha Stewart’s Living all advertise gourmet burgers as a new alternative to traditional hamburgers. For consumers who want to remain distinct from the masses of low culture consumers, hamburger gourmands must employ an additional dimension of omnivorousness that involves space. In today’s gourmet food landscape, where you dine is just as important as what you eat. Places like DuMont Burger in Brooklyn, the Lunchbox Laboratory in Seattle, or Mr. Bartley’s Gourmet Burgers in Boston, provide name recognition with the burger they are serving. For consumers seeking the ultimate in gourmet hamburgers, not only does the meal have to be authentic and exotic, it also has to come from a place that is socially desirable or trendy. Contemporary gourmet hamburgers may be made with grass-fed, hormone-free beef, topped with a range of unique items (quail egg, pickled beets, roasted pig ear), and served in a variety of buns (brioche, Kaiser roll, sesame); yet the most important element of omnivorousness for the burger gourmand is who made it and where it was made. The gourmet hamburger served at the Holeman and Finch Public House in Atlanta, Georgia, epitomizes the omnivore’s desire for something legitimate and exclusive. Each night only 24 handcrafted hamburgers are made, and at 10 p.m. a bell rings, accompanied by someone shouting “Burger Time!” By 10:01 p.m. all 24 burgers have been sold and to those lucky patrons who bought one, they get the distinction of a truly gourmet meal. 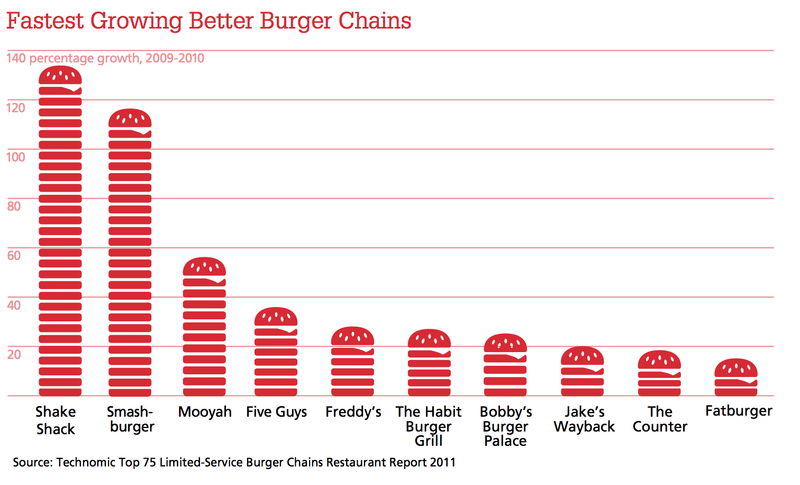 This is what separates “better burger” chains from individual high-end restaurants that serve gourmet hamburgers. There is no barrier to entry at Red Robins or Five Guys; a consumer of any cultural level can indulge. What provides the distinction of high culture hamburger consumption is getting access to Mr. Bartley’s or DuMont Burger, which usually includes a higher entry price and a reservation. These places mark the distinctiveness of the experience, making it truly high culture. Without this consumptive exclusivity, gourmet hamburgers are just a trendy amalgamation of low and high culture. Mark Caldwell is in the sociology program at the University of Wisconsin-Milwaukee. He studies urban inequalities in health outcomes and the sociology of food.